Waterloo – Wilfrid Laurier University has named Bruce Gillespie Laurier’s 2017 Teaching Fellow. Gillespie is an associate professor in Digital Media and Journalism at Laurier’s Brantford campus and is an award-winning writer, editor and journalist. The Laurier Teaching Fellowship program honours faculty members who demonstrate exceptional contributions to teaching and learning and who have established an exemplary record of achievement in educational leadership. The community of Laurier Teaching Fellows embodies the highest ideals of teaching excellence and leadership and works to encourage the success of all students at Laurier. Teaching Fellows each pursue an individual program of activities designed to enhance teaching quality and promote teaching excellence. 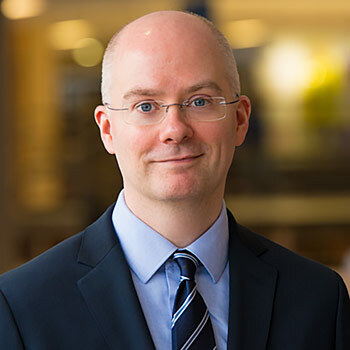 During his term, Gillespie will lead a project that explores how the use of storytelling and elements of game design increase engagement and help students better understand the connections between theory and practice. “In a professional program like Digital Media and Journalism, students are often more interested in learning practical skills rather than theory, which can feel less engaging and relevant at first,” said Gillespie. Gillespie’s project aims to address this issue through an analysis of the effectiveness of the use of narrative and game-design elements on student engagement. Gillespie will be recognized at the Teaching Awards reception May 26 at 11:45 a.m. in the Hawk’s Nest on Laurier’s Waterloo campus. Those interested in attending are asked to RSVP by May 16. Previous Laurier Teaching Fellows include: Ken Maly (2015), Gavin Brockett (2014), Deena Mandell (2014), Eileen Wood (2014), Steve MacNeil (2013) and Mercedes Rowinsky-Geurts (2013).